The highest-rated sports game over the last nine years, MLB 15 The Show continues to prove Baseball Is Better with licensed equipment, year-to-year saves, and a refreshed Franchise mode. Licensed Equipment - For the first time ever, partnerships from various brands will bring accurate bats, gloves, cleats, and batting gloves to the game. 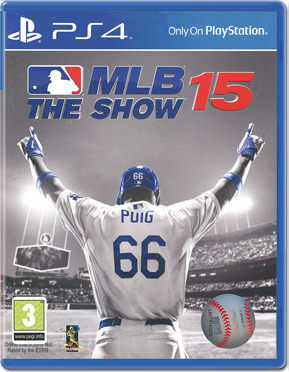 Year-to-Year Saves - Users who purchased MLB 14 The Show will be able to continue their Franchise and Road to the Show progress in MLB 15 The Show. Universal Rewards - Simply playing the game earns Stubs that can be spent on licensed equipment, Road to The Show improvements, and virtual baseball cards. Legends - We're introducing 30 Iconic MLB Alumni into our virtual player card pool, 1 representative for each team. These players span every historic baseball era of the last 70 years.